Waterford is definitely the place to be this summer with loads to look forward to especially the return of the Tall Ships. 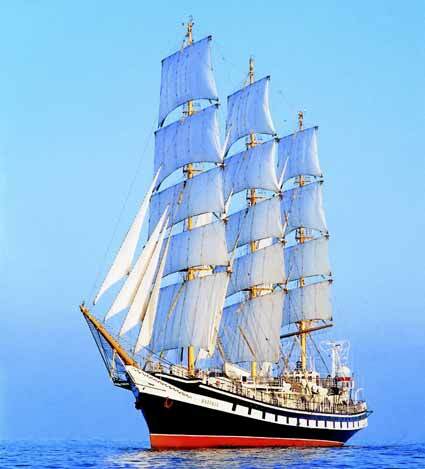 In 2005 the Tall ships arrived in Waterford and it was such a success they decided to return again this year. 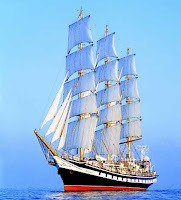 From the 30th of June until the 3rd of July over 70 Tall Ships will be parking up on the quay in Waterford city. The first leg of the race starts on Sunday July 3rd when the ships set off down the river Suir and head up along the west coast of Ireland and over to Greenock in Scotland. There is a full festival program over the four days including an amazing music line up with big names like Bryan Ferry , The Waterboys, Waterford's own O Emperor, and The Sharon Shannon Show who will be joined with some special guests like Damien Dempsey and Dessie O'Halloran. The city is going to be bustling with all the other street entertainment, parades and markets that will be taking place over the weekend and the best thing is its all free!!! The ships won't want to leave! So Waterford City is definitely the place to be this summer and Nells Farmhouse is the place to stay! You will be close enough to the action and far enough to enjoy the sites and sounds of country life. You will feel at home with all that you would expect from a self catering holiday but with the added accommodation luxuries of the hot tub on the outdoor private patio. Need I say anymore? Give us a call now to book in. Come for the weekend, stay for the week! This week at Nells Farmhouse we are airing our bog trotting shoes in preparation for the 4th annual Nire Valley Bog Trot which takes place next Sunday March 27th. It promises to be another fantastic day of walking led by the Nire Valley Walking Group. It starts from the car park at the Mahon Falls and asends up the side of the Mahon Falls. From there the walk takes you accross the Comeragh Pleteau and towards Coumfea Loch and decends by Toureen mountain. Eventually you'll end up in Ballymacarbry. Participants have the option of being part of a led group or self navigating. Its about 23kms in total. The views from the top will be outstanding and fingers crossed the weather will be fine and dry. To make your weekend extra special book in with us at Nells Farmhouse, enjoy a leisurly day on Saturday, knock the cobwebs off with the freshest mountain air and some fantastic walking on Sunday and you will be rearing to go on Monday!